A beauty dish is a device that redistributes the flash on your camera to make the lighting more flattering in portraits. It's called a "beauty dish" because it's used most commonly in fashion and beauty photography. Unless you're a fashion photographer, you probably don't need one very often, so why drop a bunch of money when you probably have everything you need to make this super simple DIY version by Kirsty Wiseman? 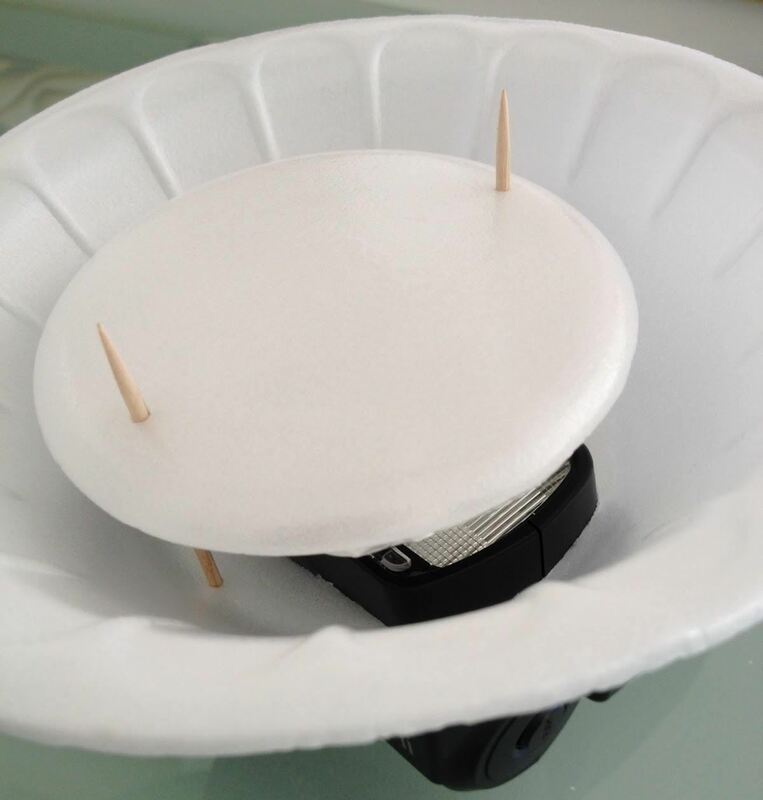 All you'll need is two Styrofoam bowls, two toothpicks, a piece of aluminum foil, and some double-sided tape. Kirsty started by cutting a hole in the bottom of one of the bowls for her external flash. For the second bowl, she cut out the entire bottom, leaving a flat circle. She used the tape to attach the foil to the flat piece, then trimmed the edges. Finally, she put the whole thing together with the toothpicks, leaving about 2 cm between the flash and the dish. It may not be pretty, but it gets the job done and saves you a bunch of money. Check out Kirsty's tutorial for more details and step-by-step instructions. How To: 14 DIY Valentine's Day Gift Ideas! 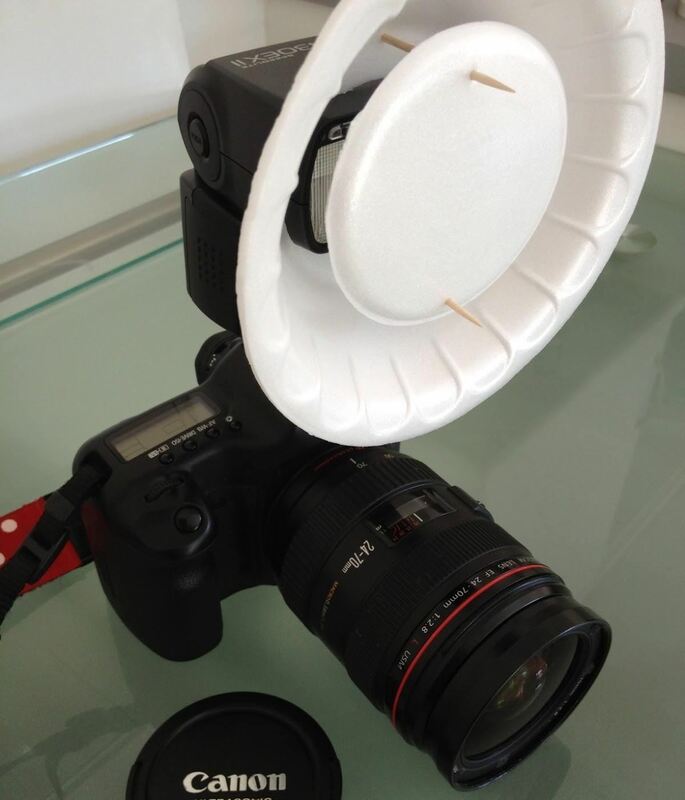 News: Check this DIY for your flash!